I’m ready to burn the country as I will not leave power under any circumstances even when I have already lost the vote, vows outgoing President Edgar Lungu. Insiders revealed that Lungu and his special advisor for corruption Kaizer Zulu have even been bragging that let those who want to waste time and money go flat out and campaign like the UPND leadership is doing as he has no time to stress himself because there will be no change of government under any circumstances. Lungu says he will not be stupid like former President Rupiah Banda who easily gave up power to the PF Government of the late Michael Sata in 2011 as he has prepared the military to ruthless deal with anyone who will protest that he leaves office. Contacts within the PF say Lungu has basically suspended his campaigns for this election owing to some of his healthy issues. For now Lungu has engaged ZNBC personnel such as Bangwe Naville, Brian Mwale, Yotamu Mugara, and others to continue spreading hate speech against opposition leaders while running documentaries promoting the PF during the main news. 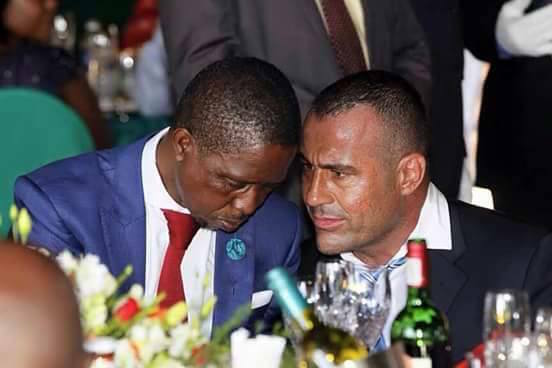 Lungu has also vowed to deal with a number of PF insiders, mainly from late Michael Sata’s people who he feels are just a baggage who must be weeded out. And the Zambian Watchdog will soon reveal in detail the evil plans Lungu wants to use in this election and the people involved including their phone numbers.